Nandi is a lively young woman with a passion for community and a deep desire to help people save their memories. Some years ago, a huge tornado tore through her town. Nandi met people who had lost everything. Their greatest regret was not saving their precious albums and photos. ‘Saving Memories’, became Nandi’s mantra and ‘Scan with Nan’ was born. A little about Nandi: She was born with Down Syndrome and is legally blind. From early on, she recognized her God given gifts and abilities. Surrounded by a host of supporters, she has leveraged the reality of her challenges, to impact her world. 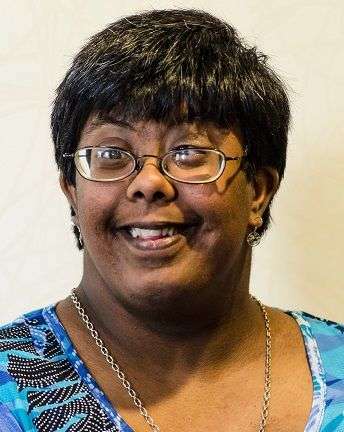 She serves on several State Disability Boards. She loves to cook and aims to work out, as often as possible. The Middle Georgia Toastmasters club welcomes her unique perspective, plus she can tell a mean joke! Life is full.